Right after the Siege comic event there were still some unresolved...issues between the big three of Tony Stark, Thor, and Steve Rogers. While the main Avengers books and whatnot immediately launched into stories set a bit after Siege, Brian Michael Bendis had this five-issue mini-series to tell us about what happened immediately after Siege between the guys that resulted in them not wanting to directly rip their throats out. It sounds more interesting than it was because for some reason 95% of this comic involves them going to a fantasy land with dragons and ogres whilst making cute quips. Yeah, it's a strange book. 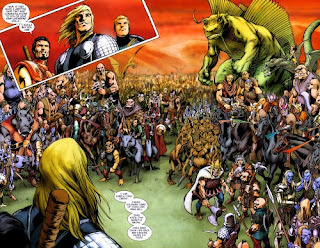 Brian Michael Bendis didn't just want to draw a comic of people only talking however (despite loving to do that too) so for some reason we get transported to a weird world where the nine other-worldly Asgardian realms have bled together and everything is wrong. The results in Steve Rogers fighting elves, Iron Man fighting Ogres, and Thor fighting everyone who gets in his way over some admittedly very well-illustrated issues by Alan Davis--but I say "admittedly" because damn if this story isn't really decompressed. This five-issue mini-series could have easily been a three issue and then they wouldn't have had to make it come out every-two months to give Davis the lead-time he needs, I'm just saying, is all. 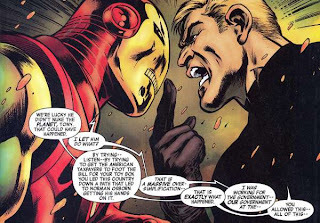 Perhaps it is the really long and drawn-out fight scenes that required so many issues. 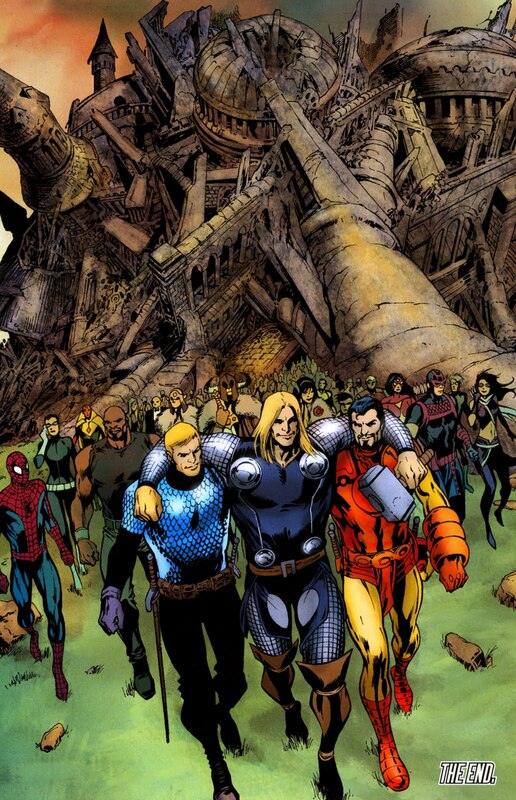 Alan Davis knows how to draw, no arguement there. I always hear the "I'm walking on Sunshine" music when looking at this. Overall this is a fun enough story, with some great art, but the story seems to only really matter if you are a huge continuity freak who needs to know every detail about characters and why they do or don't get along. I'm going to say to maybe flip through the hardcover at your comic book store and either get it if you really like the art, or wait for the trade--or maybe just not buy it, a weird concept in this age of buying everything that comes out, I know. 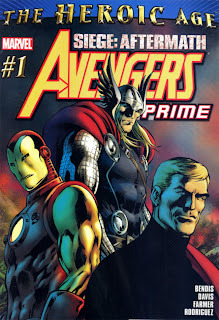 Avengers Prime should you want to get it on Amazon.